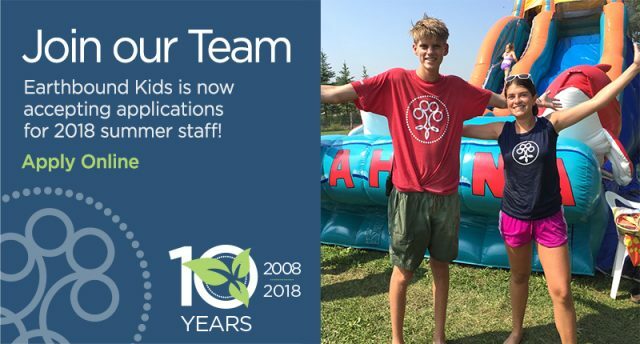 Earthbound Kids is now accepting applications for 2018 Summer staff! Join our summer fun team as a full-time staff member or as a volunteer. Apply online here.